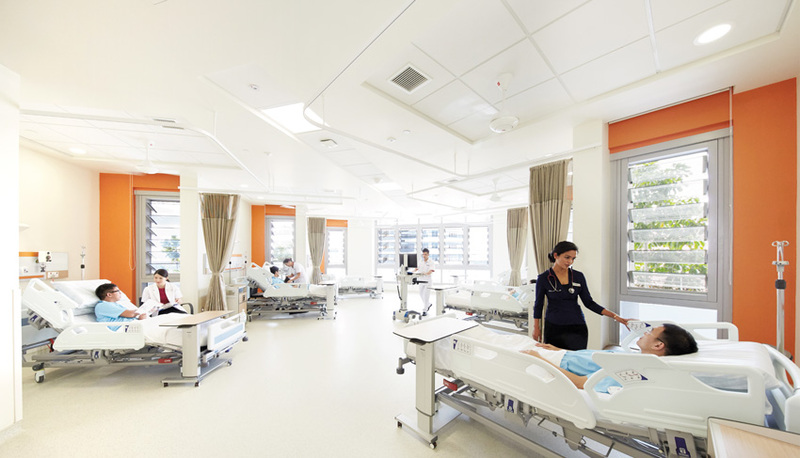 Outline the benefits of naturally ventilated health-care facilities. 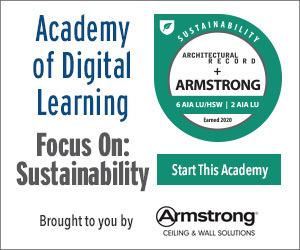 Discuss hurdles to implementing natural ventilation in North American health-care facilities. Discuss industry standards and regulations pertaining to ventilation in health-care facilities. Explain physical phenomena relevant to natural ventilation, such the Venturi effect and stack ventilation. The facades of Ng Teng Fong General Hospital (left) in Singapore rely on several types of shading devices. The patient-room wings (right) have deep precast concrete overhangs that support plants. These provide additional shade, evaporative cooling, and views. Although natural ventilation is common internationally, North Americans are accustomed to full mechanical ventilation, says Travis English, chief design engineer for health-care consortium Kaiser Permanente and a member of a natural-ventilation task group for the American Society of Heating, Refrigerating and Air-Conditioning Engineers (ASHRAE). “So, a naturally ventilated health-care building here is going to be somewhat countercultural,” he says. The few naturally ventilated North American health-care facilities that do exist, such as Peace Island Medical Center, an award-winning facility on San Juan Island, Washington, tend to reflect considerations so specific to their particular circumstances that they reinforce just how unusual natural ventilation in North American health care really is. 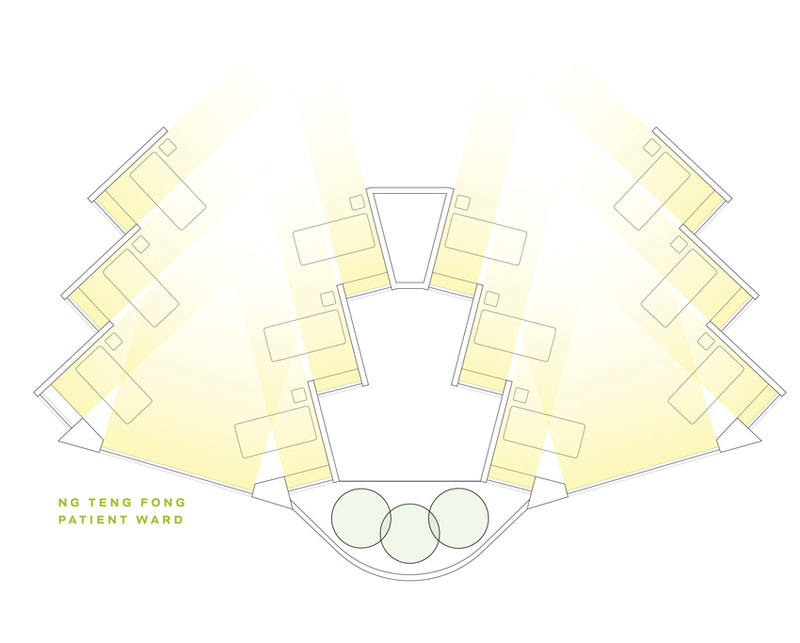 Multi-bed wards (top and bottom) at Ng Teng Fong in Singapore are shaped like fans. The strategy creates a semi-private corner with its own operable window for each patient and helps promote the Venturi effect and cross ventilation. To move air, natural-ventilation systems rely on pressure differentials, which can be generated either by the wind for cross ventilation (as at NTFGH) or by temperature or humidity differences. In stack ventilation, an example of this, warmer air exits high and draws cooler air in low. This can allow a room to be self-ventilating, taking air in and exhausting it through openings in the same wall. Such is the strategy planned for XiangYa.